EDF Energy, one of the UK's big six energy suppliers, has unveiled a new fixed price energy tariff that will freeze both gas and electricity prices until 2017. The announcement of the Blue + Price Freeeeze March 2017 tariff follows the launch of nPower's Price Protector March 2017 tariff. However, EDF's offering is cheaper by £1 a year. 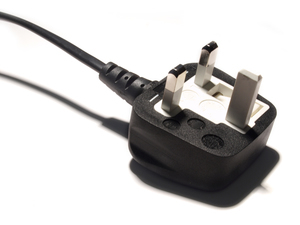 With it the average household on a dual fuel tariff could expect to pay £1,340 per annum. Like nPower's fixed price tariff, there's no exit fee. This means that customers are free to switch to another tariff if a better deal comes onto the market. EDF has also created another fixed term tariff, albeit covering a shorter period of time. The Blue + Price Promise 2015 will see EDF inform customers if a rival energy supplier creates a tariff that could save the average UK household the equivalent of £1 per week. Managing director at EDF Energy, Martin Lawrence, commented on the launch of the two new tariffs. He stated: "The popularity of our previous Blue tariffs has shown us that customers like the option of a fixed-rate product. This enables them to budget more accurately, as many consumers are worried about the increasing cost of energy." Many of the UK's big six energy supplier are partaking in the Green Deal. An initiative launched by the government, the Green Deal enables consumers to apply for funding to cover the costs of home energy efficiency measures. Through it they could apply for money to pay for loft insulation, or the installation of a new gas boiler, for example. However, rather than having to pay the money back in one lump sum, they can stagger it to be paid back in installments through their energy bills.